Robert TRAKSMANN (born 1995, violin) started playing the violin when he was four years old under the supervision of Tiiu Peäske. 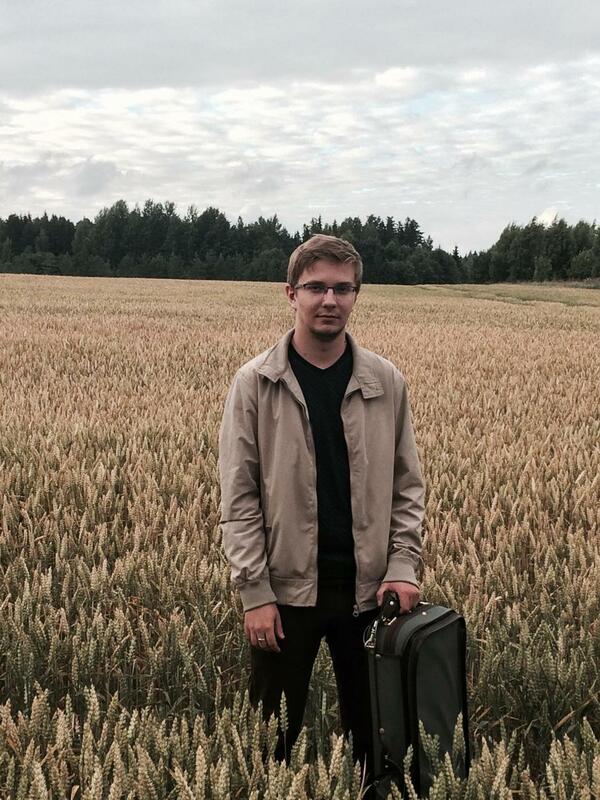 In 2014, he finished Tallinn Music High School and since 2014 he has been studying at Hanns Eisler School of Music in Berlin, where his supervisor is Kolja Blacher. Robert’s best achievements have been second and third prize at ESTA Estonian competition (2007); first prize, Eduard Tubin Society’s special prize (best interpretation of Tubin’s sonata) and the prize of the Pärnu City Orchestra at the Second Pärnu Violin Competition (2010). Robert Traksmann has performed as a soloist with the Tallinn Chamber Orchestra, National Youth Orchestra of Germany (Tübingen), Pärnu City Orchestra, Virumaa Chamber Orchestra, Haapsalu Festival Orchestra, Tallinn Music High School’s String Orchestra and Symphony Orchestra (he was concertmaster of the Tallinn Music High School’s Symphony Orchestra from 2012 to 2014). In spring 2015, Robert and his father Harry Traksmann performed as soloists in Arvo Pärt and Robert Wilson’s project Adam’s Passion. Robert plays in a trio with Rasmus Andreas Raide and Marcel Johannes Kits, with whom they have performed in the most important concert halls in Estonia and won prizes at festivals, including first prize in the international Pavasario Sonata competition in Lithuania (2012). Robert has also attended the Master Classes of Ulrike Danhofer, Florian Donderer, Arvo Leibur, Jüri Gerretz, Robert Rozek and Ivry Gitlis.